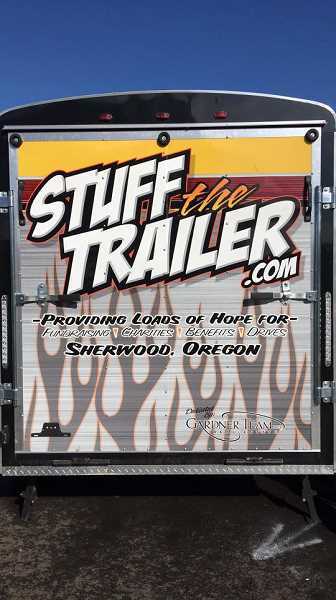 The 7th Annual "Stuff the Trailer" event will be held at the Cancer Awareness Game at Sherwood High School on Oct. 20. The drive benefits both the Michael Grimm Foundation and the Chelsea Hicks Foundation, which collects new stuffed animals and new costumes, respectively, to benefit kids at Randall and Doernbecher children's hospitals. The Michael Grimm Foundation has been donating new stuffed animals to Randall Children's Hospital and Doernbecher Children's hospital since 2003 in memory of Micheal who passed away unexpectedly while playing in a soccer game at age 5. The stuffed animals go to every child admitted to those hospitals – with ailments ranging from broken bones to more serious illnesses -- complete with a broken bones to more serious illnesses with a "With Love, From Michael" sticker on them. The Chelsea Hicks Foundation began in 2009 when Chelsea passed away from cancer at age 5. A rolling costume cart is brought up to the hospitals where each child is given a chance to pick out a new costume of their choice to keep. They have a costume parade as well as crafts. When Chelsea was going through cancer treatment beginning at age 3, she always felt better and forgot about all she was going through when her cousins came to play dress up with her. "The Sherwood community has made a huge difference helping both foundations over the years," said Lindsay Walker, one of the event coordinators.